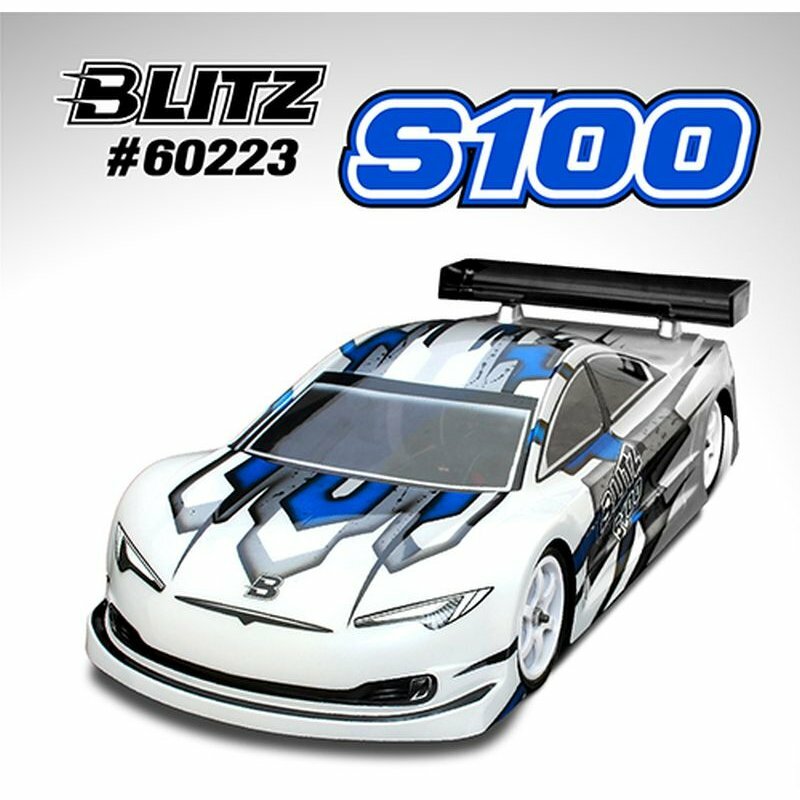 The new BLITZ S100 1/10th touring car body is an up-to-date design for the highly competitive 1/10 electric Touring car racing. Compare with all previous BLITZ body shell, the S100 provide more down force, which works well in low to medium traction. Pre-mark lines in both front and rear wheel arch gives easy and precise different mounting position. Rear wing comes with 2 different cut lines to adjust the rear down force and the 20mm X 40mm side wing plates are also included. The S100 body shell is made from high quality clear polycarbonate ,window mask ,light decal and wing screw set all included.